Cricket is one of the most popular sports games in the world. So, lots of fans are interested to watch and play it. I am also a great fan. Most cricket fans like to play cricket on their mobile or computer. So I am sharing some top rated games for Android OS(One of the most popular OS). 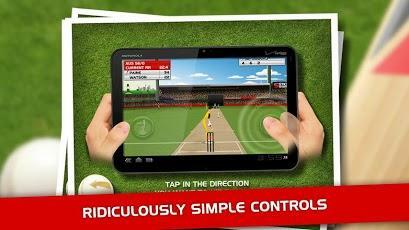 It is one of the top rated cricket games for both Android smartphones and tablets. I have also played this game a lot on my Funbook Infinity. This game is developed by INDIAGAMES and contains four modes of game-play. This game is one of the HD cricket game available in the market. Also, it provides test match and one day match. You can pick the one you want. This cricket game consists of 14 teams, 6 stadiums & 3 difficulty modes with fully customized animations. It provides TV Broadcast with cameras and fully detailed replay. If you play this game, you will definitely get addicted to it. They also developed another game called "Cricket T20 Fever 3D". The features of this game are almost same as the Cricket WorldCup Fever. The difference of this game is that it contains cheerleaders dance for every boundary and when wickets are lost. Also this game contains Lords and Eden Gardens venues. You can also add your best score online and share it to your friends. I am a big fan of this game. But the main problem of this game is the lack of audio and commentatory. Another problem is that 90% of shots are six or four. That is irritating because you will win most of the games with a big margin. It is one of the best 3D cricket games available in the market. This game is developed by Nextwave Multimedia Pvt Ltd. This game contains rich graphics along with rich audio. Also, it is one of the commentatory provided games available in the market. It provides the best gaming experience through your Android smartphones or tablet. This game includes three types of gaming modes, World Cricket Championship (WCC) and World Premier League (WPL) and the Fantasy Cricket League (FCL). Each mode contains quick play and tournaments. Rich commentary is one of the highlight of this game. Also, it's difficulty level is high. It is difficult to win all the matches. So you will definitely like this game compared to other cricket games. This game is available in World Cricket Championship Lt free version and World Cricket Championship Pr pro version. The price of pro version is $3 and around Rs.161.93 in India. It is the best and top Android cricket game available in the market. It provides rich game graphics with commentary. Another feature of this game is if you bored with this game you can purchase some power ups and use when batting or bowling. This will make it more interesting. I have rated this game as 5 out of 5 because of the best cricket game experience. Also, if you bored with playing in stadium, they provide two versions called Street Cricket and Beach Cricket for Android smartphones and Android tablets. It is yet another interesting game from Stick Sports Ltd. It is amazing and a truly addictive one. But it lacks graphics and audio. It is also a funny game. Every shot of this game is interesting. But you cannot bowl in this game. You need to win with a team to unlock to play with next team. Every shot will score 2, 3, 4 and 6. It is same as stick cricket in our PC game. But in PC, it is more of a graphics and has more features in it. Lots of interesting animations are added to this game. But these features are not available in the free version. You need to purchase this game to unlock all features. It is the top rated game for Android tablets and smartphones. 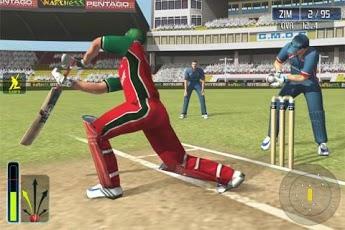 In my gaming experience these are the best and top cricket games for Android phones and tablets available yet. Do not purchase other games without thinking twice. Read the reviews and comments of users and check the rate of the game. You can also check game play review on YouTube for more details. Before you purchase every game, just download and play the free version and check the game features.